I found this question on an Android forum. He asks that “Text has been copied to clipboard. Can someone please help me find the clipboard.”? First, you need to understand that the clipboard is virtual. There is no actual application behind this process. The clipboard is a location in memory where the OS saves information that you cut or copied to share the information’s. By default, it only saves the last instance and it will be overwritten with each new copy/paste. 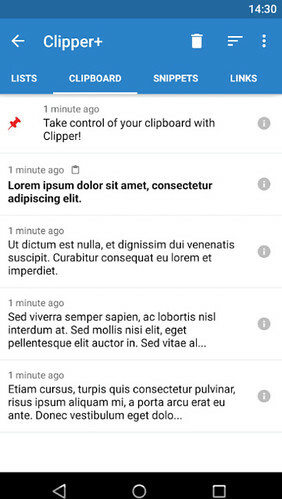 I believe using Clipper Android App will automatically save everything you copy. With the help of Clipper, you can access your clipboard history later and organize clippings in lists. All copied text is collected and saved for later use.